Stay up to date on our latest events and activities! Read about our community fundraisers, speaking engagements, and how we are giving back to those in need! Your email and contact information will not be shared with anyone. We respect your privacy. Emails will not be shared or distributed. Thank you! We will be updating our newsletter bi-annually. We held our 3rd Annual Community Fundraiser in Sandusky, Ohio and had a great turnout. Thank you so much to all of our sponsors, donors, volunteers, and participants! We could not have done this without you and we are grateful to announce that we raised over $35,000! Every penny will go towards helping victims of spinal cord injuries and their families. New Perspective Foundation held its first golf scramble fundraiser at Seminole Lake Country Club in Florida. We had a great turnout, with 96 golfers, and raised over $10,000! Thanks to everybody who participated and came out to support us! Tyson spoke at the Firelands Positive People luncheon to share his story about staying positive in the face of adversity. Firelands Positive People is an organization that provides scholarships to youths, who have overcome extremely difficult circumstances and done something positive with their lives. Tyson shared his story and testimony with Christ the King, Holy Trinity, and St. Rose Catholic schools in the Toledo, Ohio area. He spoke to the students about perspective, overcoming adversity, and how important their relationship with God is. New Perspective Foundation held its 2nd Annual Community Fundraiser in Sandusky, Ohio. We had five great events: our BBQ Chicken Dinner, Breakfast With Jim Tressel, Sunset Cruise, a 5K, and Night at Small City Taphouse. All the events were great successes and we could not be more grateful for the support from the northern Ohio community. This year, we raised over $40,000, all of which is going to help families affected by spinal cord injuries! Thanks to all of our sponsors and everybody who came out to support us! We are already looking forward to next year's fundraiser and hope we will see everyone again. New Perspective Foundation received a generous donation of $5000 from the Logan Family Foundation, located in Ohio. The overall mission of their foundation is to "pay forward," by providing for the families and children of the communities in which they live. Their generosity is greatly appreciated and this money will be "paid forward" to families affected by spinal cord injuries! The Associated Press wrote an article on NPF's president, Tyson, and his former Ohio State teammate, Kurt Coleman, and how Tyson's injury impacted both their lives forever. (Click the image below to read the article). ESPN wrote an article and produced a video on the relationship between NPF's president, Tyson, and his Ohio State teammate Kurt Coleman. The story tells of how, despite the injury that changed both of their lives, their relationship has stayed strong over the years (Click image to watch video & read article). The website, Waiting For Next Year, published an article on the back story of Tyson's injury and his teammate, Kurt Coleman, who tackled him when he broke his neck. Coleman now plays for the Carolina Panthers as is having a Pro Bowl season as they make their way to the Super Bowl (Click the image to read the article). Fox Sports did a wonderful story on NPF's president, Tyson, and the catalyst that would eventually lead to the creation of New Perspective Foundation (click the image to watch the video). Tyson spoke to the Rotary Club of New Port Richey, sharing his story and spreading the word about New Perspective Foundation. You win with people! Tyson was the keynote speaker at the Cleveland Metro Hospital Spinal Cord Injury Forum, where he talked about overcoming adversity, the importance of having the correct perspective on life, and never giving up! New Perspective Foundation partnered with the Driven Foundation to host a collaborative fundraiser benefiting both charities. The event was a great success and we are so appreciative of all the businesses and individuals who came out to support us in our missions! We were able to raise about $40,000 and collect about 800 lbs. of food! We are already looking forward to next year's event! 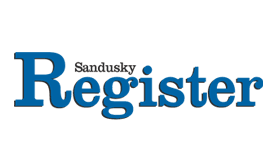 The Sandusky register wrote an article and did a feature on their "Between the Lines" segment about the first annual New Perspective Foundation Fundraiser in Tyson's hometown of Sandusky, Ohio. NPF is partnering with The Driven Foundation to put on the event (click image to read the article and watch the video). New Mobility Magazine wrote a story on New Perspective Foundation and Tyson & Megan's journey (click image to read). Buckeye Sports Bulletin wrote an article on New Perspective Foundation (click image to read). CBS News Channel 10 WTSP did a story on New Perspective Foundation (click image to watch). Tyson did an AMA (Ask Me Anything) on Reddit, to help raise awareness about New Perspective Foundation (click image to read). Sports Radio 97.1 The Fan featured Tyson and New Perspective Foundation in an interview (click image to listen). Tyson spoke (and Megan interpreted) about overcoming adversity at the Family Center on Deafness. Tyson presented the 2015 National Football Foundation Tyson Gentry Courage Award to Alex Malarkey. New Perspective Foundation was featured in an article by Eleven Warriors (click image to read). Tyson spoke at a banquet held by Moen, celebrating their second consecutive national safety award.